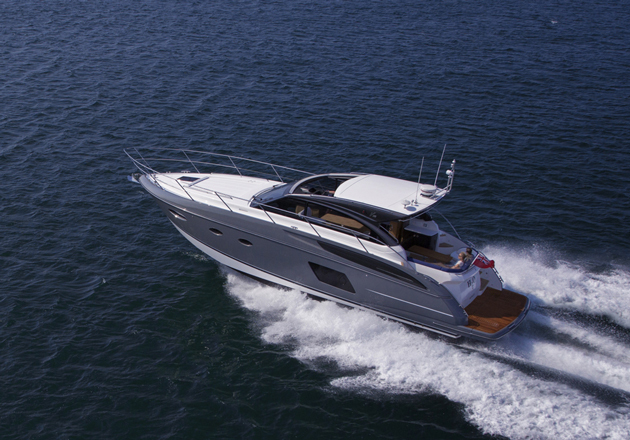 Alex Smith enjoys a first look aboard the Princess 68 flybridge. 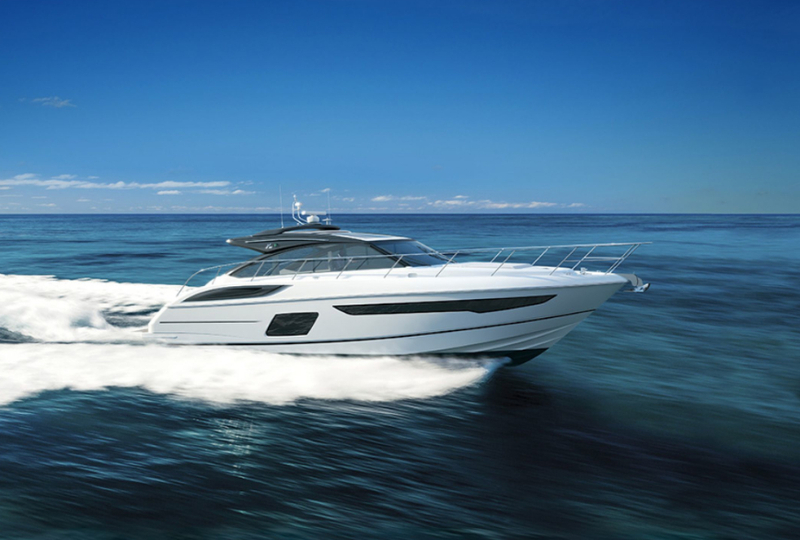 Fitting into Princess Yachts' flybridge range in between the 64 and the 72, the Princess 68 was launched this summer with a set of bold claims about being the most spacious boat of its size ever built by the Plymouth yard. 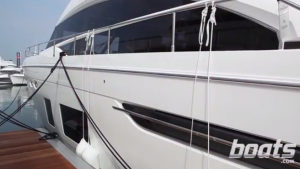 Join boats.com reviewer, Alex Smith in this first look video to see for yourself. To start off with, the galley has obvious appeal. 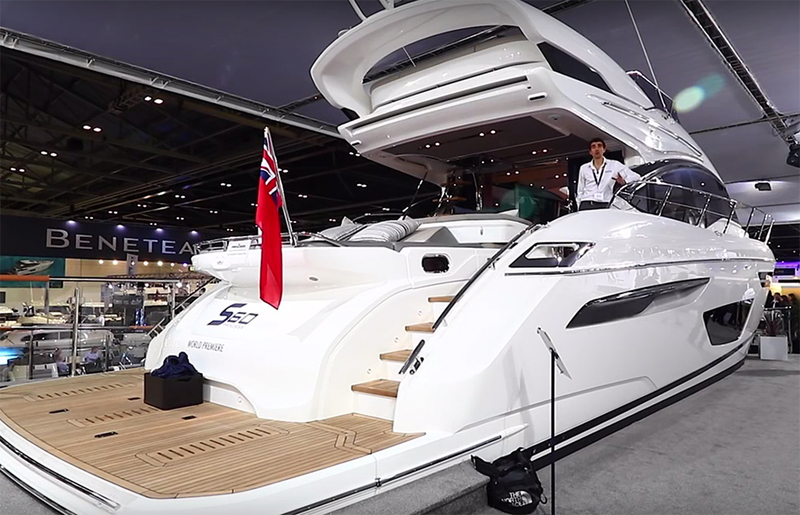 Situated on the main deck, it manages to face inside to the helm and raised lounge areas as well as outside to the portion of the deck that is open to the elements. The two-seater helm station is adjacent to a small lounge area, which is just forward of the main, large, U-shaped sofa configuration. 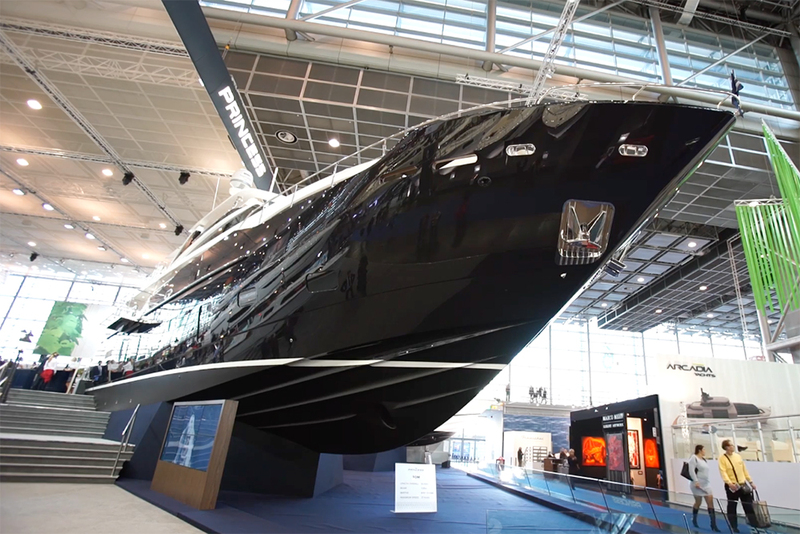 All told – a lot of communal space for a boat this size. 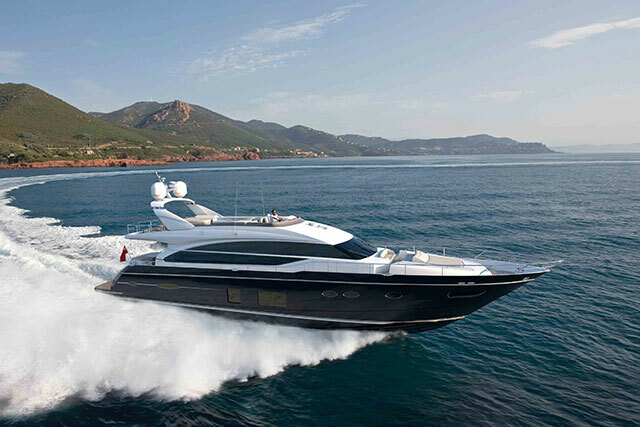 But the Princess 68 is claimed to have the largest internal volume (in relation to its length) of any boat ever produced at the yard. So if the main deck isn't proof enough, then one look at the accommodation should be enough to back up all of the company's claims. Down the forward set of stairs, there is an en-suite double and a pair of twin cabins. But even more impressive is the discovery that there is a separate staircase leading to yet another en-suite. 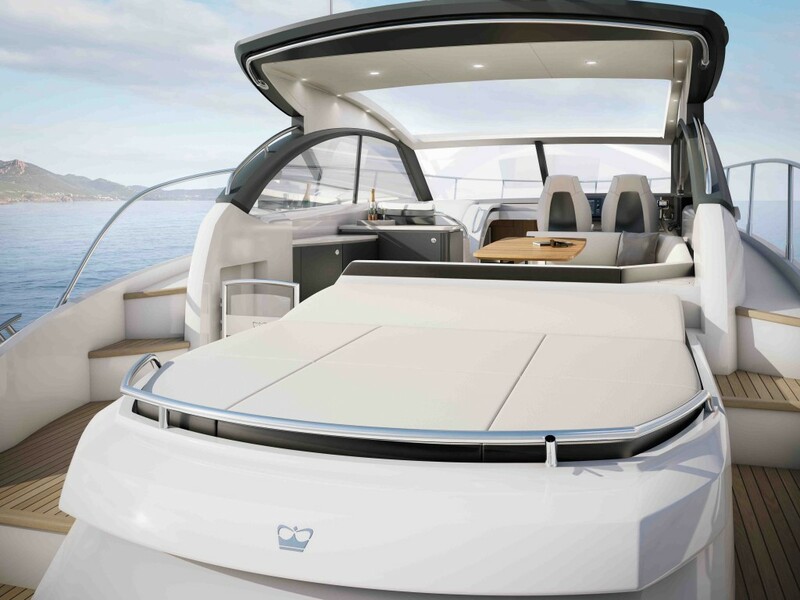 Private access to the master suite aboard the Princess 68 is a first for the company's flybridge range. 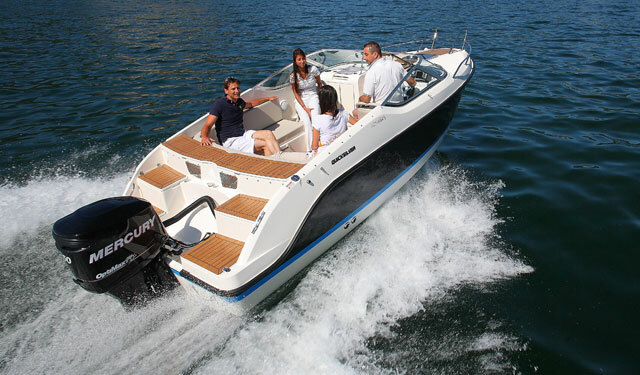 Why not compare and contrast a few different Princess models on www.boats.com? 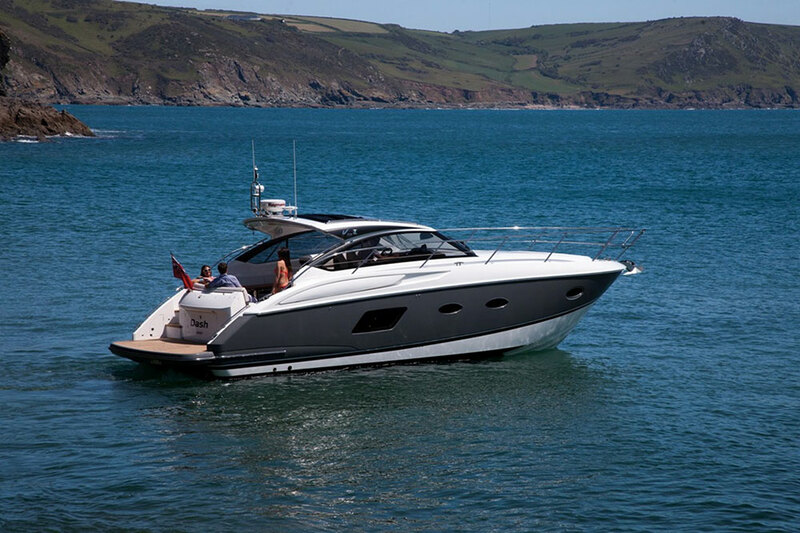 See Alex Smith's Princess 88 review or try taking a peek at the sporty Princess V48 or Princess 43 first look videos.